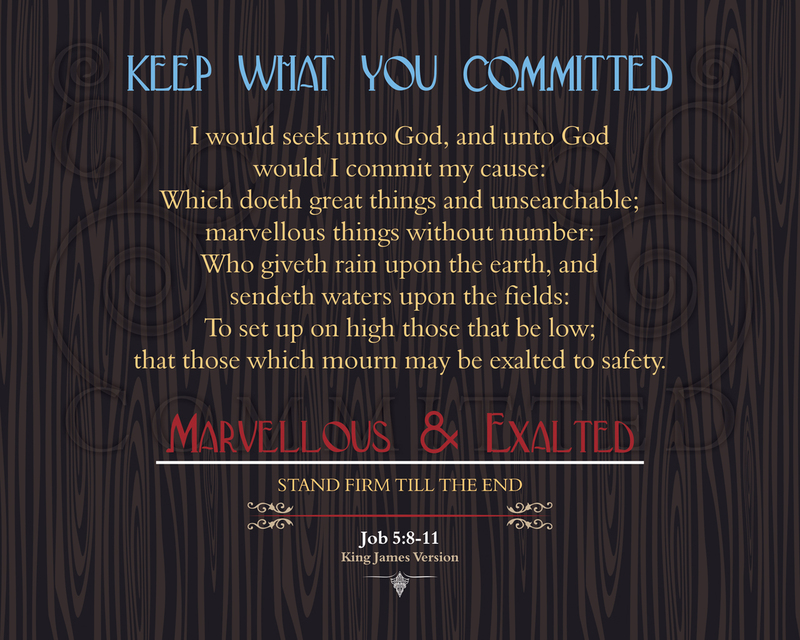 This first of two sections contains six (6) passages concerning our being Committed to the LORD and keeping our Commitments made as a manner of Worship to our God, our Saviour, our Ever’thing. 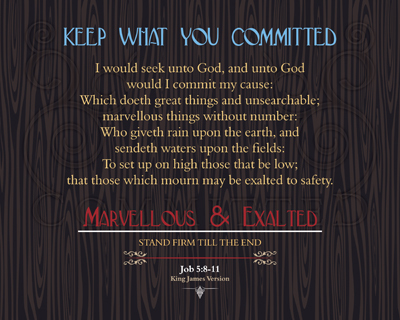 (8) I would seek unto God, and unto God would I commit my cause: (9) Which doeth great things and unsearchable; marvellous things without number: (10) Who giveth rain upon the earth, and sendeth waters upon the fields: (11) To set up on high those that be low; that those which mourn may be exalted to safety. (18) Flee fornication. 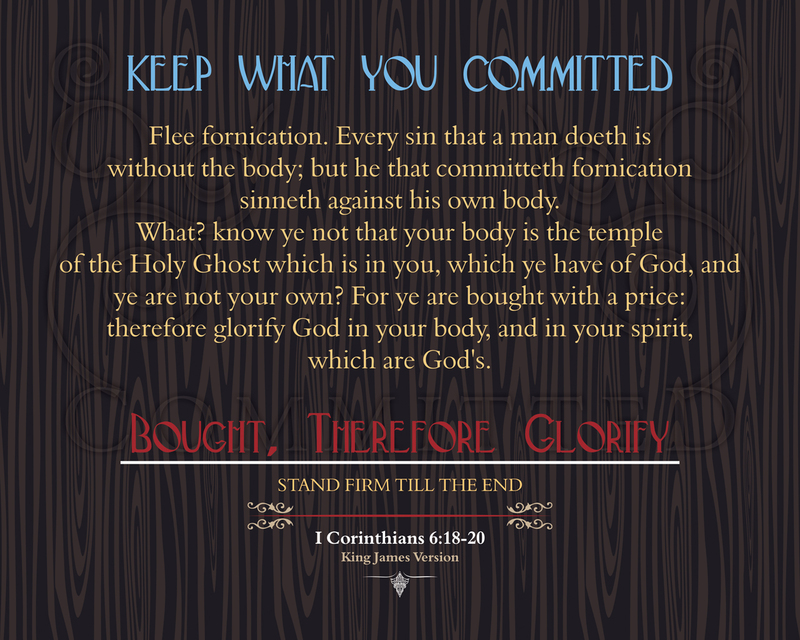 Every sin that a man doeth is without the body; but he that committeth fornication sinneth against his own body. (19) What? 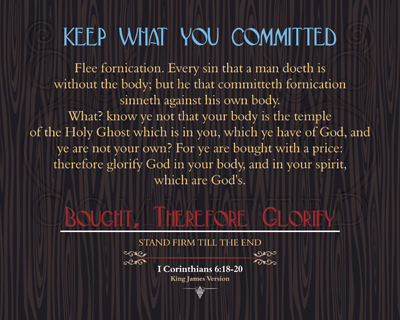 know ye not that your body is the temple of the Holy Ghost which is in you, which ye have of God, and ye are not your own? 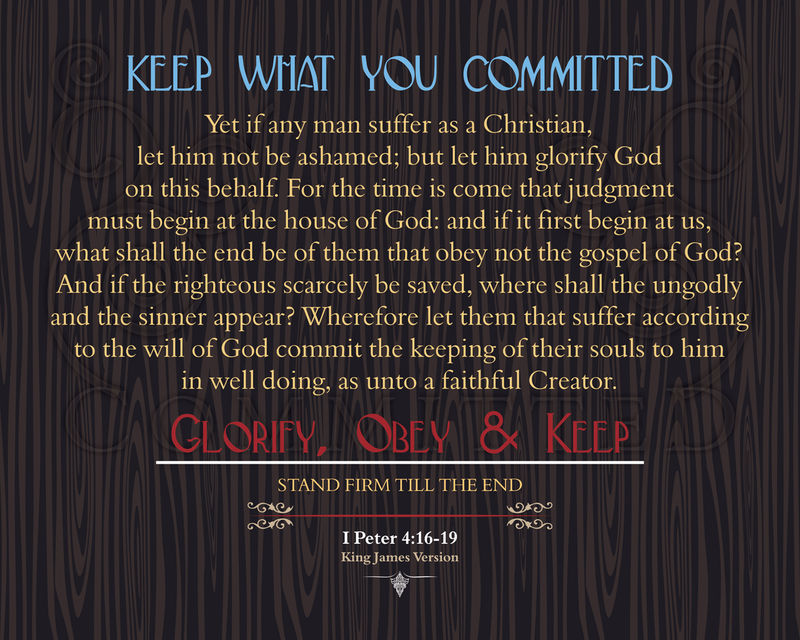 (20) For ye are bought with a price: therefore glorify God in your body, and in your spirit, which are God’s. 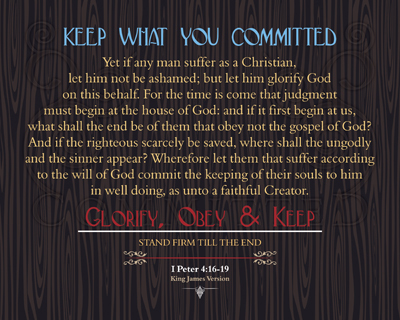 (16) Yet if any man suffer as a Christian, let him not be ashamed; but let him glorify God on this behalf. 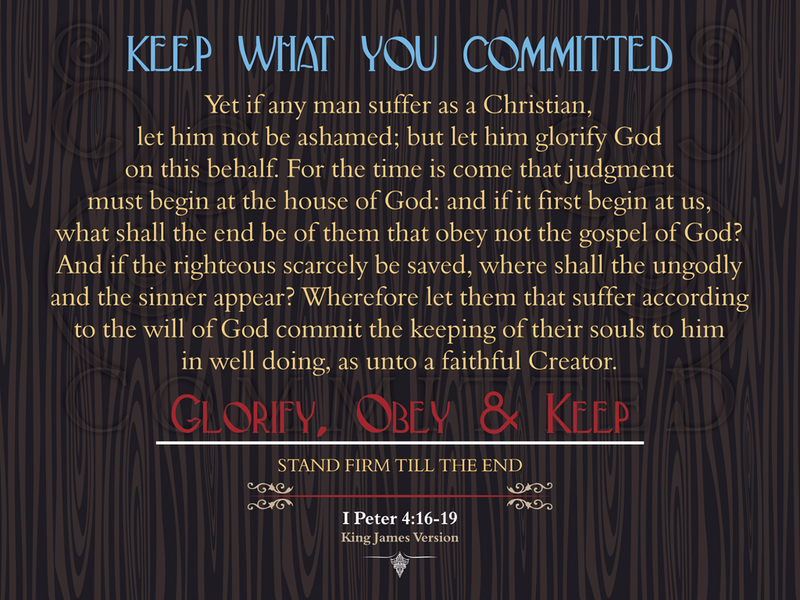 (17) For the time is come that judgment must begin at the house of God: and if it first begin at us, what shall the end be of them that obey not the gospel of God? (18) And if the righteous scarcely be saved, where shall the ungodly and the sinner appear? 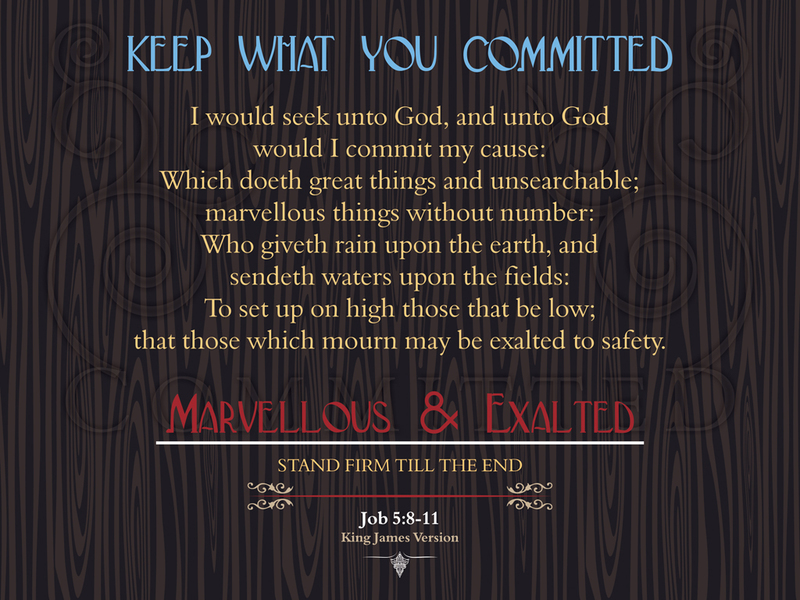 (19) Wherefore let them that suffer according to the will of God commit the keeping of their souls to him in well doing, as unto a faithful Creator. 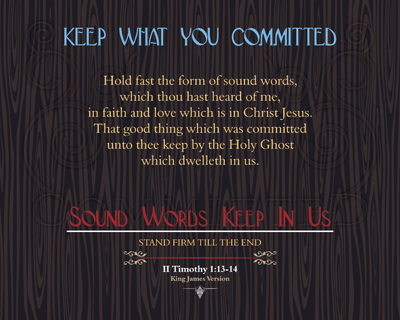 (13) Hold fast the form of sound words, which thou hast heard of me, in faith and love which is in Christ Jesus. 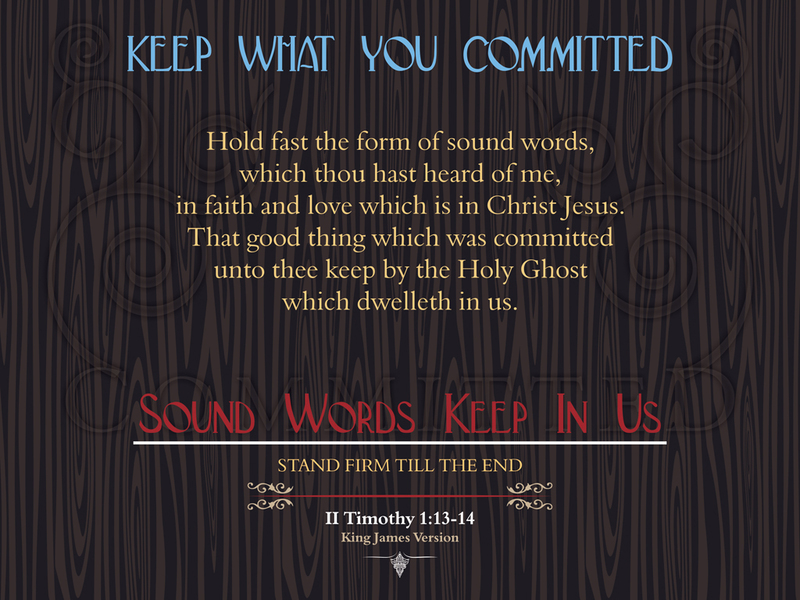 (14) That good thing which was committed unto thee keep by the Holy Ghost which dwelleth in us. 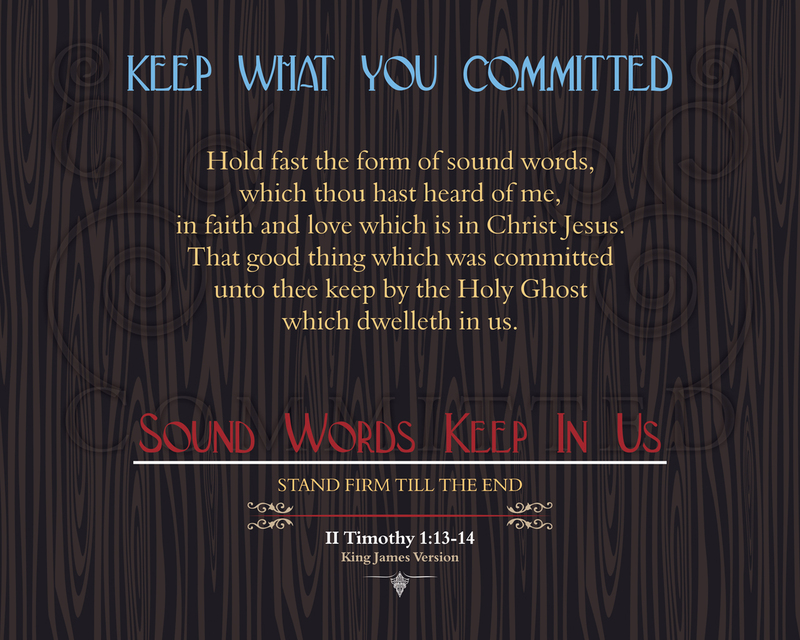 (4) And I prayed unto the LORD my God, and made my confession, and said, O Lord, the great and dreadful God, keeping the covenant and mercy to them that love him, and to them that keep his commandments; (5) We have sinned, and have committed iniquity, and have done wickedly, and have rebelled, even by departing from thy precepts and from thy judgments: (6) Neither have we hearkened unto thy servants the prophets, which spake in thy name to our kings, our princes, and our fathers, and to all the people of the land. 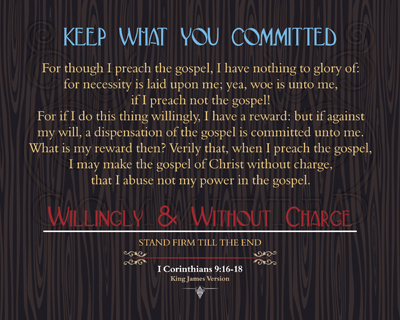 (16) For though I preach the gospel, I have nothing to glory of: for necessity is laid upon me; yea, woe is unto me, if I preach not the gospel! 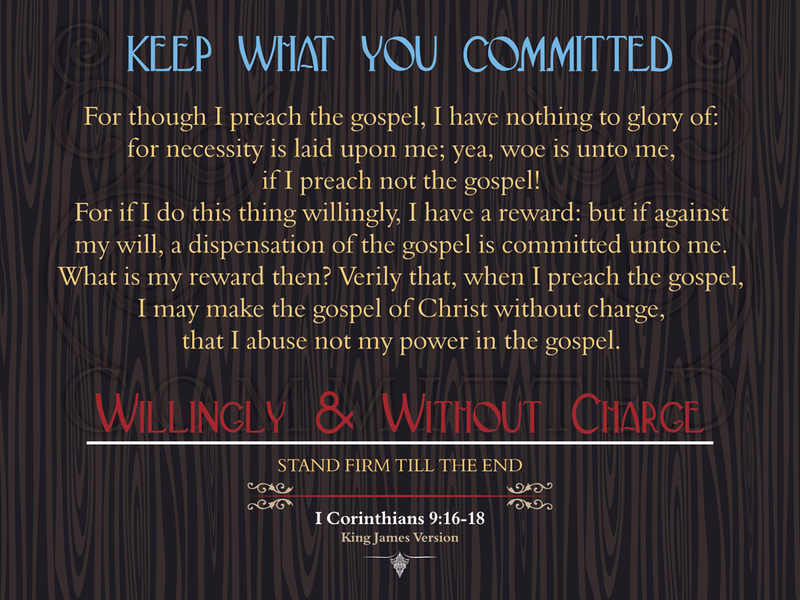 (17) For if I do this thing willingly, I have a reward: but if against my will, a dispensation of the gospel is committed unto me. (18) What is my reward then? 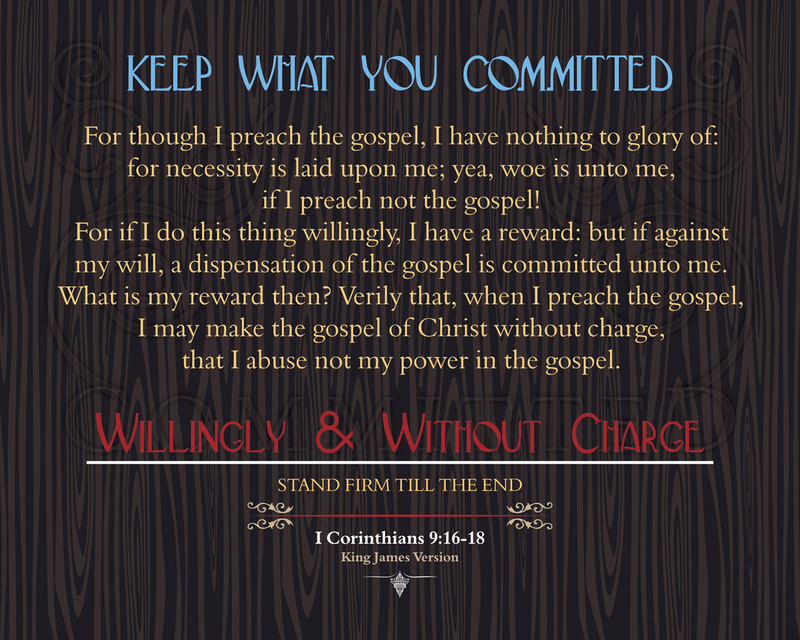 Verily that, when I preach the gospel, I may make the gospel of Christ without charge, that I abuse not my power in the gospel.